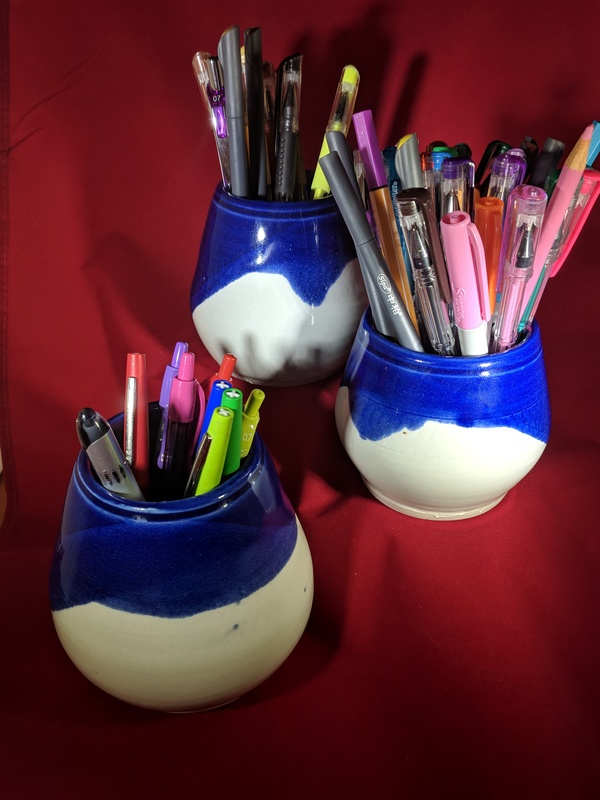 Set of three porcelain brush/pen/marker holders, with asymmetric dip glazing and splashing. 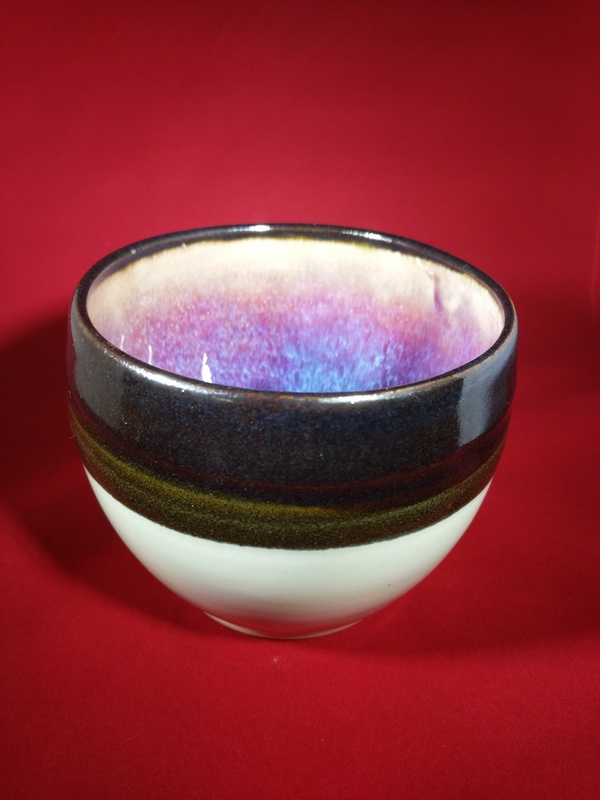 I made several of these in several colors; this is one of my favorites. They’re intended as soup mugs, but I mean, if you want three cups of coffee or tea in one shot, these will do that. 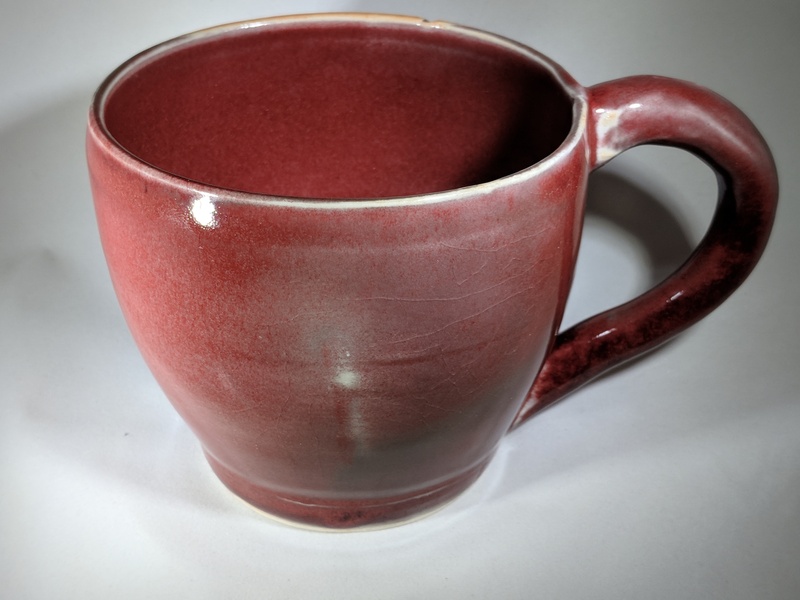 I’ve been aiming to make a matched pair of green and red coffee mugs for a close friend. So far, something has critically failed on every single possible set. This is probably one of my favorite pieces so far. 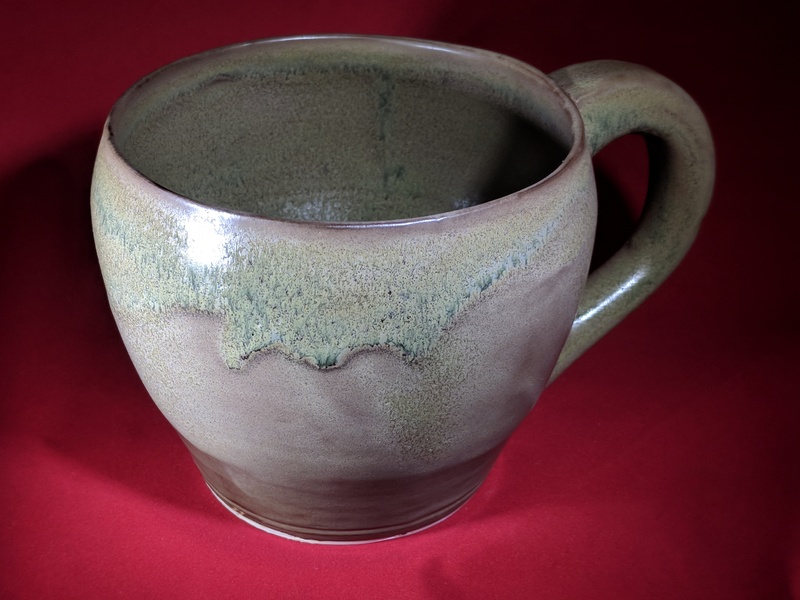 It’s the perfect size and shape to cup in one or both hands, it holds a good amount of food, and it turned out pretty much exactly as I pictured it in my head. Win.